Well kanga clearly missed out on boxing lessons and lost the round to this giant olive python. The strength of that python is something to behold. I have no idea if it got the Kangaroo up to the ledge but whatever, an A for effort Mr Python. 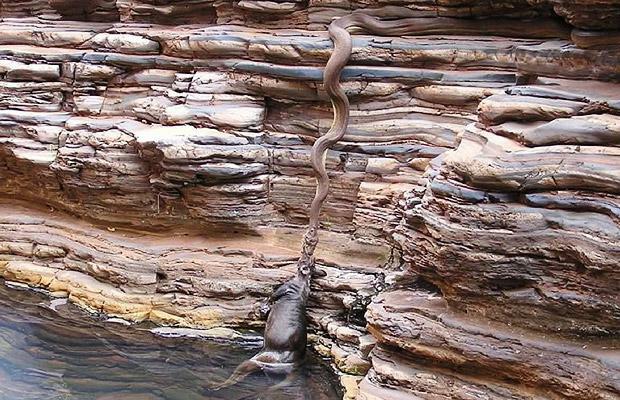 The caption read: An Olive python attempts to drag its dinner - a wallaroo - up a sheer gorge in Kimberly, Western Australia.